Been using BNT since 2012. It allows me to fully automate my entire origination platform… from lead to closing. This CRM has been an integral part of our growth. Thank you to Yuri and the entire BNT team! Not sure why I didn’t do this 15 years ago. I love my new CRM. Great marketing campaigns & social media feed. I’ve really enjoyed working the folks at BNTouch. Top down, they are a wonderful group to work with. Keely has always given me top notch service, Aaron is amazing in understanding our customized needs, Ella is a wonderful person, and I could go on. I just linked it up with Encompass and can hardly wait to see how it transforms yet another integral part of my operation. Thank you all!!! I tried BNTouch when they were just getting started years ago and never really used it. Now I’m back and things are amazing. The system is completely overhauled and much easier to navigate. It is a true full service start to finish CRM now and syncs with my phone calendar so I’m not stuck in the office like with some of their competitors products. I’ve only been using BNTouch for a few weeks, but I can tell it’s going to make my life and my business much more efficient! The automation capabilities in particular are extraordinarily powerful – unfortunately, this also means they’re fairly complicated. There’s definitely a steep learning curve – I’ve had to contact their support department probably a dozen times in the last two weeks. But that said, their support is very helpful, and I learn something each time I speak with somebody. Overall, it seems like a great product so far, and I’m excited to learn more about how to utilize their features! It really helps me keep on top of my leads, and for me to be able to keep up with my borrowers. The company is great to work with and there doesn’t seem to be any lag. Must have product for loan officers! The system makes is very easy to manage my database, whether I need to follow up with potential clients or market to client’s that I’ve closed in the past. I like the database part of it and the response of the tech staff.If you are a mortgage broker, this is the software for you, but you need to be somewhat computer talented to manage sending emails through the system. It keeps my current business with the access tools and makes sure they don’t forget me in the future with the newsletters and well wishes. Unfortunately, people forget your name and number after a while; this prevents that from ever happening! I will never hear, “I would have used you but lost your email and couldn’t find your number” ever again! I have been a mortgage professional for 15 years and, I have yet to see a CRM tool that fits our specific needs as well as BNTouch does for us. Don’t waste your time with any other use this CRM; you will increase your business and get more repeat business! We did a lot of research on different CRM’s currently available on the market and this one offered most. We have been using it for over a year and absolutely love it. Especially since they did the upgrade to a better more appealing platform. As a long time figure in the mortgage industry, myself and my team needed a CRM system that was not labor intensive, and would also act as a central hub for all parties during the loan process. We are happy to say that we have found that with BNTouch. We were with another CRM for several years previous to this, and found that we were spending hours a day just trying to keep up with exporting our clients info from our LOS, and importing into that CRM. BNTouch has amazing support in place that not only assisted with onboarding, but also has been available round the clock to answer our questions. They truly worked with us to tailor a unique platform for our team structure. I LOVE, LOVE, LOVE your software !!!!!!! I have been in the mortgage industry for 25 years, and if I had this application years ago, I couldn’t even imagine how incredible my client/partner base would be today !!!!! Here is my story. 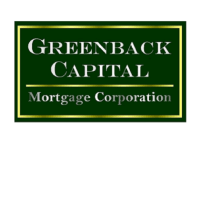 Started in the mortgage business in September 2002. Originally I used ACT as my CRM and it worked well (at least I thought so) until I had several hundred contacts. I still thought it worked well but it took quite a bit of my time to maintain. Decided to investigate CRM’s in 2004 and looked at most if not all of the CRM’s available. I chose BNTouch and it has been a critical piece of building my business. Once the system is set up long term follow up becomes automatic. BNTouch works 24/7 keeping me in front of my database. I believe that if a Loan Officer commits to putting the information in on every contact they will see an increase in their mortgage production. In 2009 I closed 478 mortgages and in 2010 I closed 574 mortgages. This would not have happened without BNTouch. BNTouch is the most complete system for the money. I am very impressed with the full range of capabilities. Most importantly, I found it easy to use, fully customizable, and it also integrates seamlessly with my current systems. I have had actual clients tell me that because of my routine phone calls that they chose to come to my business over the competition. One lady told me she had a fight with her husband about it because she really liked me calling her every six months just to check in. He wanted to go to a bank for a small consolidation loan but she convinced him to come and talk to us first and we re-did there mortgage and helped them save $600 a month. So, I am a firm believer in BNTouch and if we didn’t have it I am sure that we would not be in business today. Should have done this years ago! It keeps my current business with the access tools and makes sure they don’t forget me in the future with the newsletters and well wishes. Unfortunately, people forget your name and number after a while; this prevents that from ever happening! I will never hear, “I would have used you but lost your email and couldn’t find your number” ever again! Ease of import. Basic functions are good. To DO list helpful. Once I get more time for training, I think that the functionality will be excellent. No complaints. It is easy to use and also the customer service is great! Don’t try to fit your mortgage business with other industry CRM’s. This one has it all. 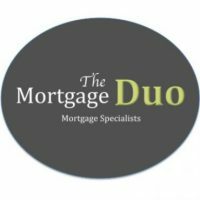 Great customer and partner portal for you to be able to better connect with those involved in the mortgage transaction.